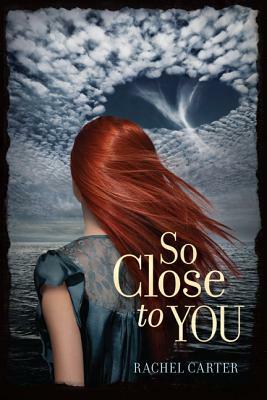 Rachel Carter launches a mind-blowing time-travel trilogy with her YA novel So Close to You. Lydia Bentley doesn’t believe the rumors about the Montauk Project, that there’s some sort of government conspiracy involving people vanishing and tortured children. But her grandfather is sure that the Project is behind his father’s disappearance more than sixty years earlier. While helping her grandfather search Camp Hero, a seemingly abandoned military base on Long Island, for information about the disappearance, Lydia is transported back to 1944—just a few days before her great-grandfather’s disappearance. Lydia begins to unravel the dark secrets of the Montauk Project and her own family history, despite warnings from Wes, a mysterious boy she is powerfully attracted to but not sure she should trust. Rachel Carter has been a teacher, a nanny, a caterer, and a bellhop. A graduate of the University of Vermont and Columbia University, Rachel is also the author of So Close to You and This Strange and Familiar Place. She lives in Vermont.